Just wanted to share my good news with you. 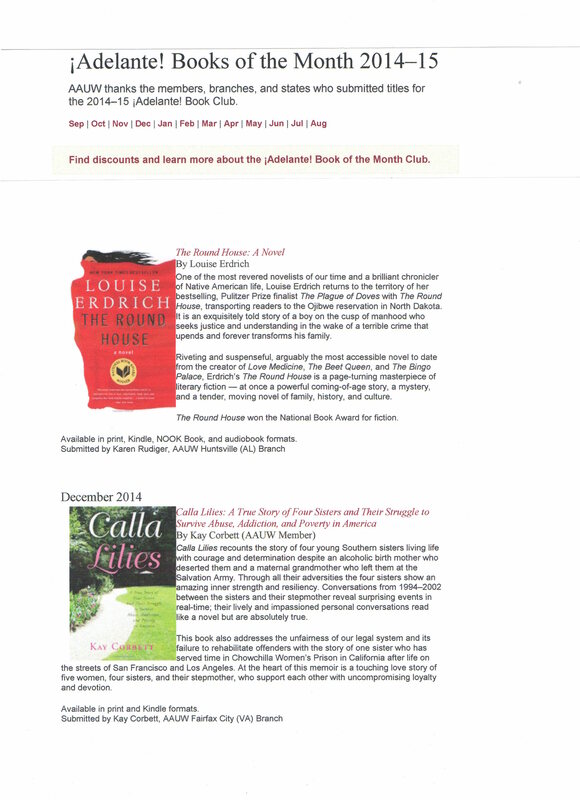 Calla Lilies: A True Story of Four Sisters and Their Struggle to Survive Abuse, Addiction, and Poverty in America has been chosen as the December, 2014 book-of-the-month for the National AAUW Adelante! Book Club. Many branches throughout the country have an Adelante! Book Club. Adelante! 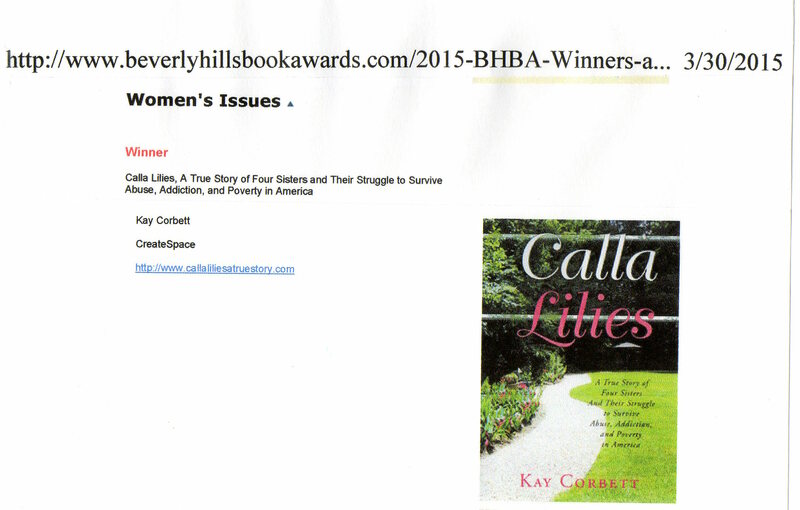 focuses on books about the social issues that need to be addressed in America.